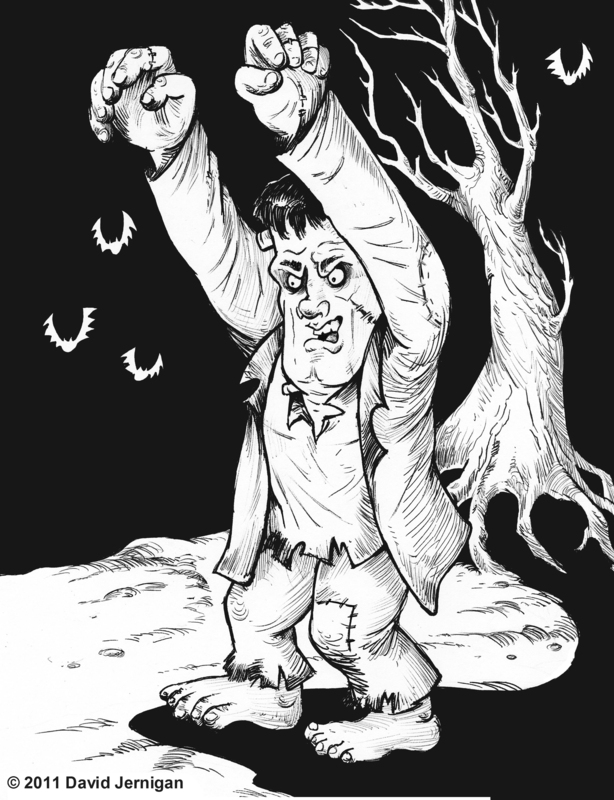 Frankenstein’s Monster is yet another one of my October Halloween sketches. 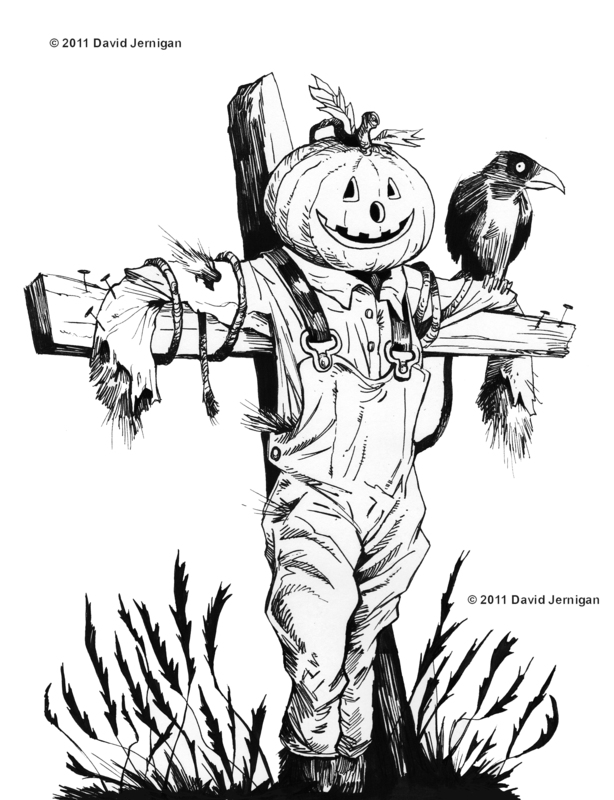 This scarecrow sketch is the first of my October Halloween sketches. Scarecrows are placed in fields by farmers to discourage crows and other birds from eating recently cast seed. Somehow they became attached to the popular imagery of the holiday of Halloween. I sketched my drawing looking at a picture my brother took of a scarecrow in Michigan. As a kid I experienced a fascination with the ocean that will last throughout my lifetime. 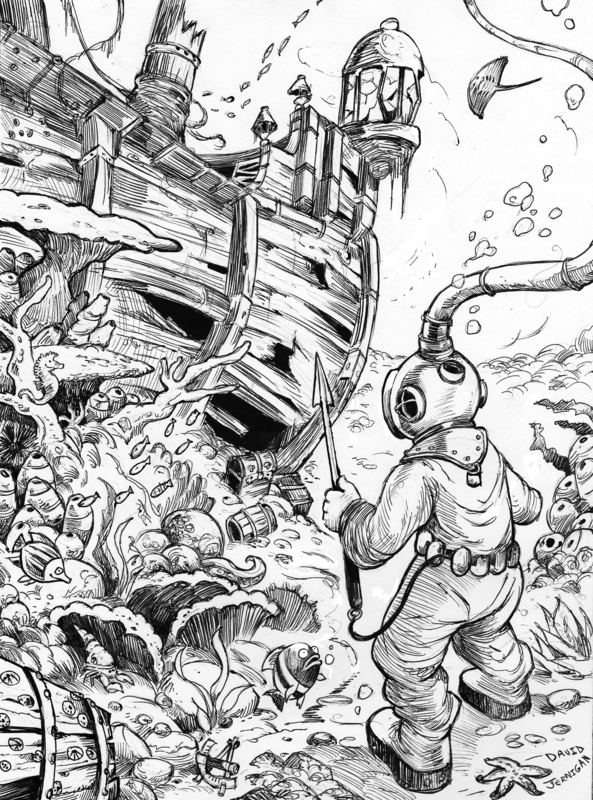 This is yet another drawing of an old diving suit. The drawing is an improvement of a sketch I did for a client, many years ago. 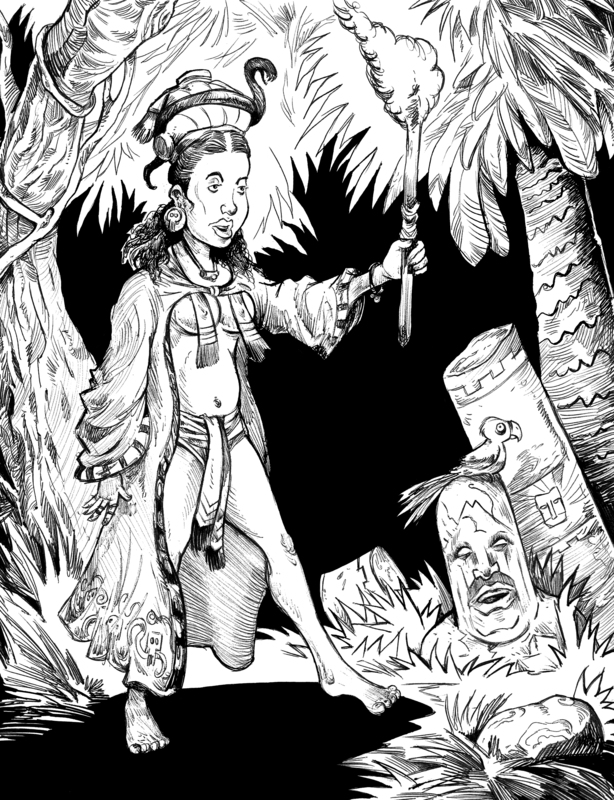 The original version of this drawing was one of the first illustrations I ever had published.